Swedish patented innovation. The worlds unique learn to eat yourself spoon! “I can”. I can myself! Does this sound familiar? Being able to explore and try for themselves is an important part of the development of a child’s abilities. The founder of the “I Can” baby spoon have really taken this serious! This spoon is a must for all children, to learn to eat on their own. 6 different grips 6 different grips that the child can use to practice fine motor skills. Five finger- , precision-, thumb- and transverse grip are a much more useful grip than the “whole hand grip” that a lot of childrens spoons invite to. The child trains his fingers instead of the arm and gives an intuitive transition from eating with his hands. 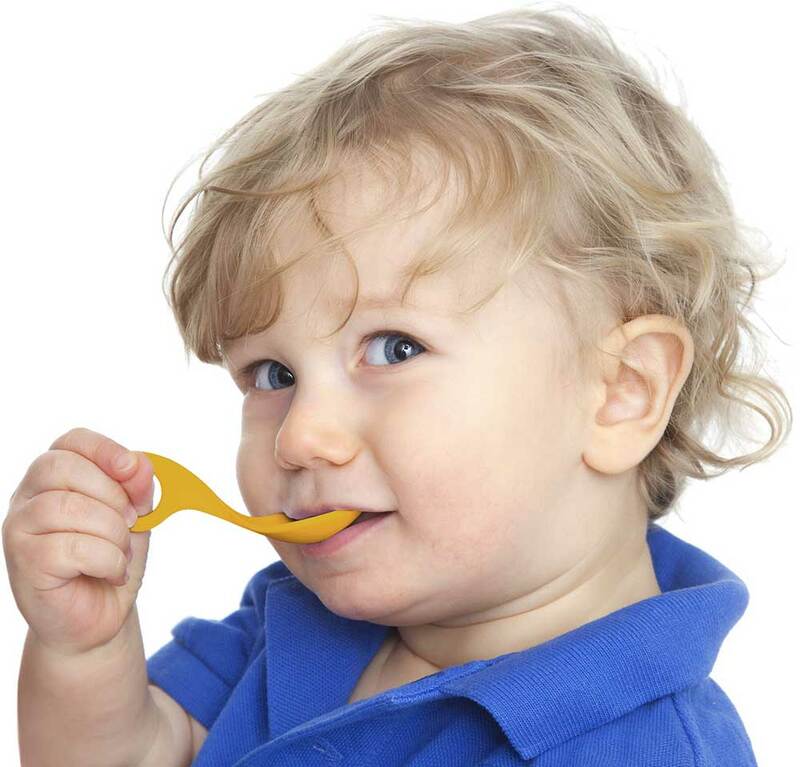 The hole in the Spoon provides contact between the thumb and index finger for increased stability, and if the child wants it, it may put their thumb or index finger for a secure grip. A: The spoon is flat vertically, which encourages the precision / tweezers grip. B: The hole allows thumb- and transverse finger grip. D: The spoon is angled upwards to more easily extract the food from the bowl. Most of the time, it is usually lost immediately when it comes out of the bowl.